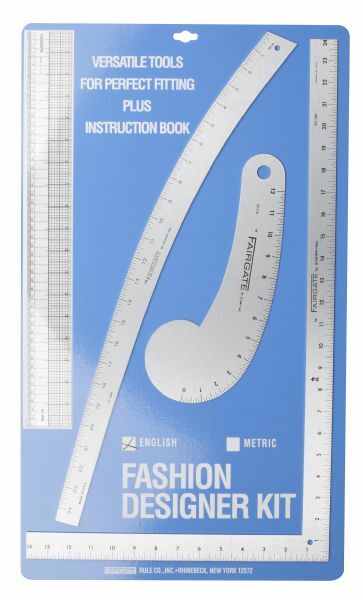 Fashion designer's kit (metric) includes 4 rulers and pattern making booklet. * Attached to a Fairgate backer board. 25.75" x 15" x 0.25"